Dave "El Blondie" Colclough dies after losing his battle with cancer. British poker player Dave Colclough, affectionately known as “El Blondie,” died Oct. 18 after a battle with cancer at 52 years old. Colclough was a regular feature on Late Night Poker in the United Kingdom, often competing against the likes of Simon Trumper, Surinder Sunar, Joe Beevers, Barny and Ross Boatman and the late Dave “Devilfish” Ulliott. Hailing from Carmarthen in Wales, Colclough was a computer programmer before taking up poker full time. Colclough’s first recorded cash on his Hendon Mob page dates back to February 1995 when he finished eighth in a £100 Pot Limit Hold’em tournament in London for £350. Since then, Colclough amassed live tournament winnings of $2,639,641, enough for him to occupy second place in the Wales all-time money list. 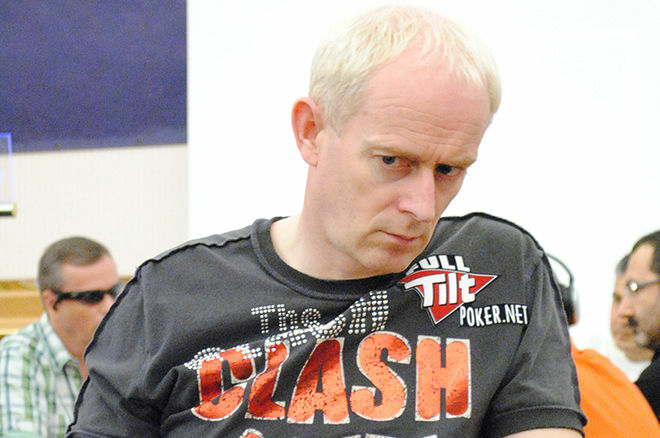 Members of the British poker community have taken to social media to pay tribute to Colclough. “Dreadful news about Dave Colclough - a great poker player and more importantly a lovely guy #RIPBlondie,” said John Conroy, another player. Barry Neville echoed Channing and Conroy’s thoughts. “One of the nicest men I ever met at the poker table or anywhere else. One of the best on the circuit. Taken way too soon RIP,” he wrote.